This category allows people to browse some of the shows which Lilith has done on Femme Fatale at CKCU 93.1 FM. If you click the link included for each entry then it will take you straight to a new window and will start streaming that particular show. Note: the BBC news is right before Femme Fatale for approximately 5 minutes. You can skip forward to the show or listen to the BBC but every link will have the BBC before the show because of how timing and recording automatically works. Community Radio for the Win! Recorded October 6th, 2014. Joanne Law joined Lilith in studio to talk about the complexity of transgendered identity and their fight for equal rights in Canada. She explains some of the history behind transgendered activism and how the Canadian legal system today treats trans identified individuals. Joanne also talks about her role as a transgendered educator and the role that education plays in real social change surrounding issues of transphobia and homophobia. Interviewed on November 10. 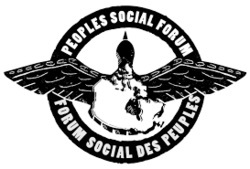 My guests Karl and Nicole called from Ottawa U to talk about their participation in this years People Social Forum. This meeting resulted in hundreds of activists from around Canada, getting together and building networks, as well as brainstorming ideas and various activist projects for the future. One of the key results of the forum was the establishment of various key themes which the activists present hoped to address, such as: migration, gender, food and many others. This interview highlighted the different kinds of activism, including daily activism, which helps in changing the world on a local and global level.